NEVILLE TWP., Pa. — Pine-Richland goaltender Daniel Stauffer earned his third shutout of the 2018-19 season on the biggest stage of the season, as the netminder turned aside all 24 shots he faced to lead the Rams to a Pennsylvania Cup title in a 3-0 victory over Downingtown East on Saturday at RMU Island Sports Center. 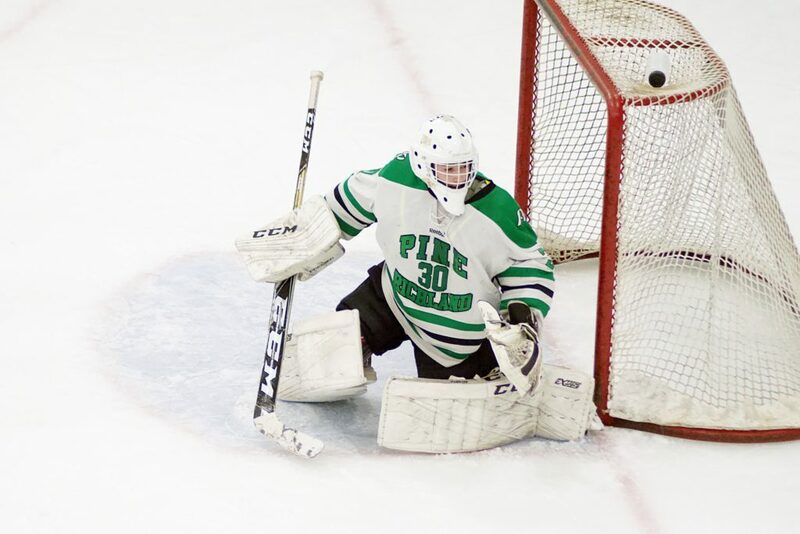 Stauffer didn’t have his best performance in Pine-Richland’s 7-5 Penguins Cup victory over Upper St. Clair earlier in the week, but he bounced back, making every save he was asked to against the Cougars, who entered as two-time reigning state champions. He also wasn’t asked to do all that much at times, as the Rams dominated time of possession in all three periods, and out-shot the Cougars overall, 35-24. They did so despite leading nearly wire-to-wire, as senior forward Brian Phipps tipped a Jack Tyndall point shot past Dowingtown East goaltender Matthew Shandler just 1:03 into the first period. Studt did the finishing next, as the Rams added on in the second period when the senior — one of 14 on the squad — broke through the Dowingtown defense with a nifty stickhandling move and fired a wrist shot home to give Pine-Richland a two-goal lead. After a strong defensive effort in the third period, Nicholas Lindauer iced the victory with an empty-net goal with 4.6 seconds to play. The state title is the third overall for the Rams, who also won Class-AA state titles in 2006 and 2007. Pine-Richland’s season will continue in the 2019 USA Hockey Division I High School National Championships in Cleveland, Ohio from March 28 to April 1. The win was the first in Class-AA for the PIHL since Cathedral Prep won in 2015 and just the third overall in the last five seasons.